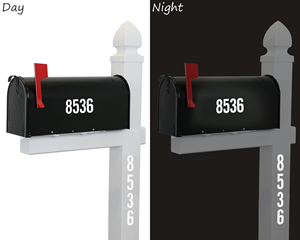 Spot your mailbox and your address at night. • Options include low cost sheet kits or more elaborate custom mailbox signs. Black, silver, red and white mailbox numbers are available. Choose a contrasting color. • Use stickers on both wallboxes or on mailboxes. 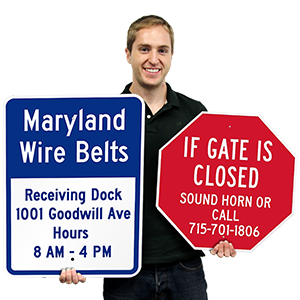 • Although it is optional to add the owner’s and or the street name to a mailbox, many customers find that this is an exceptionally useful wayfinding tool. • The USPS regulations cite that a mailbox house number must be at least 1” tall. In practice, though, most mailbox numbers are 2” to 4” tall. 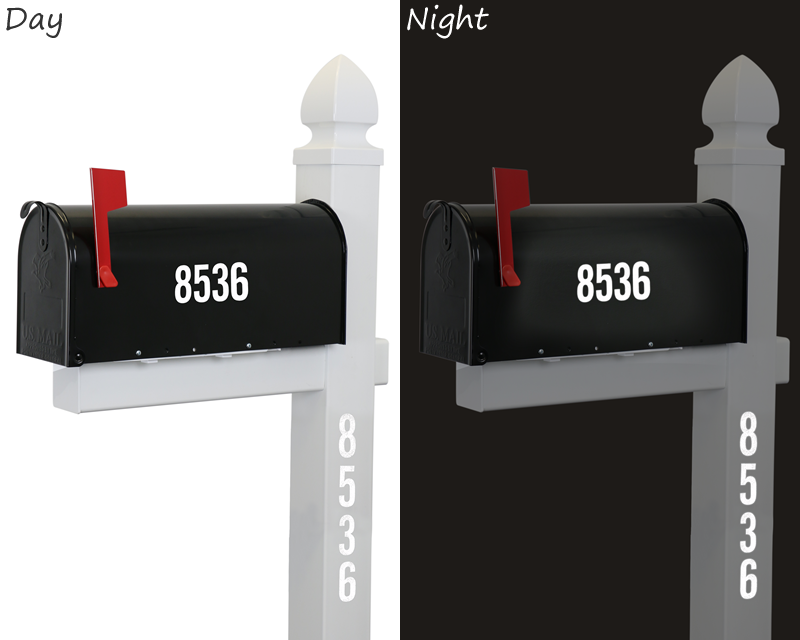 To enhance drive-by visibility the numbers are usually placed on the flag side of a mailbox, and not on the front. It is also most common to place mailbox numbers on both sides of a mailbox. Our die-cut sheets are our lowest cost option. Order sheets in numbers-only or as a mix of letters and numbers. Click on the style of mailbox number stickers that you want from the choices below. 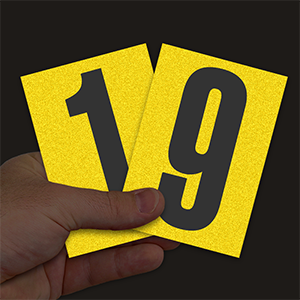 The quick ordering pages allow you to order digits a-la-carte. Design a custom mailbox sign online. 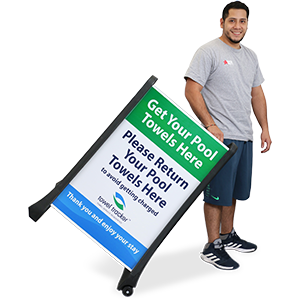 Our two-sided 3M reflective signs are the brightest on the market. Then, are you tired of replacing your mailbox? Check out our innovative flexible mailbox posts that bounce back after being hit.